Done deal. LeBron James and Chris Bosh are members of the Miami Heat. The Heat completed sign-and-trade deals with Cleveland and Toronto for their two newest superstars. The Heat sent two future first-round and two second-round picks to the Cavaliers for James, while packaging two first-round picks to the Raptors for Bosh. James, Bosh and Dwyane Wade all signed six-year contracts, each leaving millions of dollars on the table in order to provide the Heat flexibility to build a championship roster. NEW YORK (AP) _ The New York Knicks sent All-Star forward David Lee to Golden State in a sign-and-trade deal, giving the Warriors the marquee player they sought this offseason. Forwards Anthony Randolph, Kelenna Azubuike and Ronny Turiaf go to the Knicks, who are moving closer to rounding out their roster for next season. New York also receives a 2012 second-round draft pick. ARLINGTON, Texas (AP) _ Cliff Lee is suddenly in the starting rotation for the AL West-leading Texas Rangers, who pulled off a big deal despite bankruptcy proceedings and unsettled ownership. The struggling Seattle Mariners sent the ace left-hander and reliever Mark Lowe to the Rangers for rookie first baseman Justin Smoak and three minor leaguers. Texas also receives cash as part of the deal for Lee, who can become a free agent after this season. GUEUGNON, France (AP) _ Mark Cavendish made it two straight Tour de France stage victories, leading a sprint for the line as the main title contenders finished in a closely trailing pack. The 25-year-old native of Britain's Isle of Man raised his hands in celebration at the end of the hot, mostly flat 141.3-mile sixth stage from Montargis to Gueugnon. The HTC Columbia rider earned his 12th career Tour stage victory and fifth in all races this year _ clocking 5 hours, 37 minutes, 42 seconds to edge Tyler Farrar of the U.S. and Alessandro Petacchi of Italy. The main title contenders crossed 3 seconds after Cavendish. Defending champion Alberto Contador was 28th, seven-time champion Lance Armstrong was 38th, and overall race leader Fabian Cancellara was 41st. The heat appeared to be taking a toll on the riders as Carlos Barredo of Spain and Rui Costa of Portugal got into a fight after the finish. The cause of the fracas was not immediately clear, but video footage posted on the website of sports daily L'Equipe showed Barredo of the Quick Step team charging toward Costa and attempting to strike him over the head with a bike wheel. Costa, who rides for Caisse d'Epargne, tried punching Barredo in the face several times before both fell to the ground screaming at one another. OAKMONT, Pennsylvania (AP) _ Heavy rain that began with 100 of the 156 golfers still to begin or complete the second round caused play to be suspended at the U.S. Women's Open. Play is scheduled to resume at 7:30 a.m. Saturday at Oakmont Country Club, with the third round to begin with threesomes teeing off at 2:30 p.m. Normally, golfers play in pairs the final two rounds. Sophie Gustafson was the leader on the course at even par when play was halted, but she had completed only one hole of the second round. Cristie Kerr, coming off her 12-stroke victory in the LPGA Championship two weeks ago, and first-round leader Brittany Lang were the clubhouse leaders at 1-over 143. Kerr shot an even-par 71 on Friday and Lang followed her opening-round 69 with a 3-over 74. SILVIS, Illinois (AP) _ Defending champion Steve Stricker broke the 36-hole record at the John Deere Classic with a two-round total of 126, which is 16 under at TPC Deere Run. Stricker, playing in the morning, shot a 5-under 66 to take a one-stroke lead over Paul Goydos into the third round. Goydos sent a buzz through the golf world in the opening round by shooting only the fourth 59 in PGA Tour history. Goydos couldn't maintain the deft putting touch that had enabled him to join golf's most exclusive club and he settled for a 3-under 68, leaving him at 127. David Frost set the old 36-hole record of 127 in 2000. LUSS, Scotland (AP) _ Darren Clarke was nearly flawless in miserable conditions in the Scottish Open, opening a four-shot lead on a dreary at Loch Lomond. Clarke chipped in for birdie on the tough 16th and holed a series of 20-foot birdie putts on the front nine for a 4-under 67. JOLIET, Illinois (AP) _ Kyle Busch pounced on Joey Logano on a restart in overtime, then pulled away to win the Nationwide series race at Chicagoland Speedway. It was Busch's 37th victory in NASCAR's second-tier series, moving him into sole possession of second place in the series' career wins list. Only Mark Martin has more, with 48. Toyotas swept the top five spots as Logano finished second, followed by Brian Scott, David Reutimann and Jason Leffler. LOS ANGELES (AP) _ Olympian Kate Ziegler has won the 800-meter freestyle with her second meet record at the Los Angeles Grand Prix. Ziegler won the final in 8 minutes, 25.89 seconds, beating the field by nearly 5 seconds. In doing so, Ziegler lowered the meet record she set in Thursday's preliminaries on the Southern California campus. Natalie Coughlin was beaten in the 100 freestyle by Kara Lynn Joyce, who touched in 54.69 seconds, 0.15 ahead of the 11-time Olympic medalist. Jessica Hardy was third in 54.93. COLORADO SPRINGS, Colorado (AP) _ A new test that provides a breakthrough in detecting human growth hormone in blood is expected to become available soon and make it more difficult for athletes to use HGH without getting caught. It's a test some experts consider so good, however, it could blunt the push for the urine-based test sought by some in baseball and football, possibly stalling promising research that has already cost many thousands of dollars. Summer is officially here and NFL teams have released their training camp schedules for the 2010 NFL football season. There is no better summer vacation for families than a visit to watch the players of the NFL prepare for the upcoming season. Each year in late July the players, coaches, administrators, and assorted other NFL staff members make their way to training camp. For 3 to 4 weeks, the players and coaches work intensely to improve their personal and team performances. Its great to see the rigorous work that the players put in to prepare for the 16 game regular season. Many of the 32 NFL teams hold their camps outside of their home city. For example, the Baltimore Ravens hold training camp 1 hour from Baltimore in Westminster, MD and the Chicago Bears hold theirs in Bourbannais, IL,1.5 hours south of Chicago. On field practices are usually open to the public and are free of charge. This means that fans can watch the players at work -- participating in drills, 7 on 7s, and joking around with teammates, coaches, and even fans. Moreover, for fantasy football players, it is a chance to check out the players up close before the fantasy football draft. All 32 NFL teams hold public practices, but each vary in their schedules, policies, and Here are 5 tips for getting the most out of your visit to NFL training camp: here are the training camp locations and dates. 3) Bring a camera, felt tip markers and pens, and mini-helmets, pennants, hats, jerseys, t-shirts and other items that you would like autographed. Firstly, when we say bring a camera, we mean a real camera. While cell phone cameras have expanded our universe, for an NFL training camp, a real camera is a much better call. For example, zooming in may be the best way to get a close up of Peyton Manning as he works with backups and the quarterback coach on a far field. Or you may want more megapixels for the picture of you and Larry Fitzgerald during your visit to Flagstaff, AZ. For autographs, the opportunities will vary based on team policies. Each team will have designated autograph sessions and some autograph opportunities are dependent on the personalities of various players. For example, each training camp, the Pittsburgh Steelers hold a Friday night practice at a local high school in Latrobe, PA. As the practice begins, the entire Steelers team walks out to the fences around the field and sign autographs for about 15 minutes. 4) Get a good night sleep and save your voice. A visit to an NFL training camp is an awesome fun and can be very tiring. Much like a trip to an amusement park -- excitement + sun + heat can make us all tired. Some of us may even become cranky. Make sure that you follow this tip as well the others to cut down on the likelihood of crankiness. Also, be ready to cheer for your favorites. Whether shouting hey to Ocho Cinco or joining in a rendition of Bear Down Chicago Bears with other fans, training camp is a great opportunity to show your team spirit. 5) Bring a football and other small games to play with. There is nothing more inspiring than watching pro football players practice. Its why you will see countless pigskins flying around and fans running patterns while the pros practice on the field. Some teams may even provide kids zones full of activities or allow you to help with practice (fans at Raven's camp can shag field goal attempts on the side fields). Check your teams website to find out what type of activities they offer at their facilities. All will likely have souvenir shops so be prepared for that! 6) Dress like its a game! Players, coaches, and other fans will appreciate your full support during camp. Two a day practices are draining and enthusiastic fans can easily change the momentum around camp. Get your jerseys, team t-shirts, hats, and flags ready. Remember, the real season is just around the corner and we all could use a tune up. Have a great time visiting training camp this summer. It is a great, low cost way to have a memorable summer vacation with the family. Also, all NFL fans and fantasy football players will have a chance to see the stars up close and get ready for the season ahead. Out of the Indian Test team for a while, medium pacer S. Sreesanth said he was fully fit and training hard at the National Cricket Academy (NCA) to make a comeback. “I am working very hard and I want to play for the country. I am really hoping to make a comeback into team India,” Sreesanth told PTI. The temperamental Sreesanth said young cricketers get much needed exposure by playing in IPL. On not being appointed as captain of the Kerala Ranji Trophy team, he said he was “disappointed“. He said he had been working hard for improving Kerala cricket and helping the youngsters. “In the last season, I had led the state in one match,” he said. “Though I have not taken a final decision, I might opt for playing for another State in the coming season,” Sreesanth, apparently hurt at not being appointed as captain, said. Sreesanth said immediately after Raiphy Vincent Gomes was chosen as the Kerala captain, he had sent a congratulatory message. “Even if I play for some other state, it is because I want to play more cricket so that I could do well and get into team India”, he said. 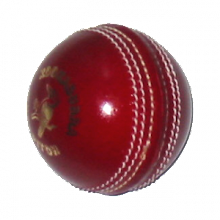 Kerala Cricket Association (KCA) had chosen 25 probables for the Ranji cricket team to be led by all-rounder Raiphy Vincent Gomes, recently. Sreesanth is in the probables list. Flag Football Plays - Playbooks for a winning season - Over 3000 flag football plays for immediate download. Win more games! Video Game Rentals - Rent the latest video games for XBox 360, PS2 & PS3, PSP and so many others with the latest major titles for all your gaming needs. Watch the match and enjoy Free Bingo at the same time at Ladbrokes Bingo. This World Cup, Ladbrokes Bingo is giving away Super Free Bingo. During every single match of the World Cup between Friday 11th June – Sunday 11th July 2010, Ladbrokes Bingo is going to run Super Free Bingo. Bingo games will last 105 minutes and start at the same time as the scheduled match kick-off time. There will be 14 games of Free Bingo per session and for every game you have a set allocation of 42 tickets. These are all Free Bingo tickets by default. Don't forget you can select a combination of Free and Superbooks tickets and everyone is always playing with 42 tickets so it's fair for all. For example, if you buy 2 Superbooks tickets, you will then have 40 Free tickets. Plus, you can even pre-purchase Superbooks tickets for these sessions. Every full-house prize winner of Super Free Bingo will win an entry into a private bingo room for an exclusive night of Free Bingo on Friday 16th July between 20:30 right up until the Bingo Linx game at 10:30pm. Deposit and spend £5 and get £20 free welcome bonus at Ladbrokes Bingo. As you baseball fans may or may not know, Cardinals' manager Tony LaRussa recently made a very bold move: he flipped Albert Pujols and Matt Holliday in the batting order. For the first time in about seven years, Albert Pujols is no longer batting third in the lineup and has been moved down to the #4 (cleanup) spot; the last time Pujols started a game batting somewhere other than third in the lineup was on May 23rd, 2003 when he hit fourth against the Pirates. According to MLB.com and the Cardinals organization, Pujols made 1,046 consecutive starts at the #3 spot. However, LaRussa feels that, after all these years of Pujols batting in that slot, Holliday's arrival is a hitter that can finally provide a legitimate alternative. If you follow the Cardinals, it is no surprise that this year's offense hasn't really been "productive" going into a month and a half into the elteason. Going into 38 games in their season (before the change was made), St. Louis had only scored 160 runs, which is equivalent to 4.21 runs per game. According to Baseball-Reference.com, that is good for 12th out of the 16 teams in National League; the only teams who have done worse offensively in that category are the Padres, Giants, Pirates, and Astros. For a team that's struggling to score runs, the Cardinals are doing pretty well in the standings. In the NL Central, as of May 21st, they've just re-claimed their first place position and have the third best record in the National League. However, at 24-18, that really isn't saying much, and there is always room for improvement. Tony LaRussa realized that, going into a month and a half into the season, something needs to be done. I must say that this was a very ingenious move by him… and this is why. Do you guys remember much about the Rockies in 2007? Surely, most baseball fans remember the rally they had when they won 14 out of their last 15 games in the regular season, edging the Padres in extra innings in a tiebreaker and earning the NL Wild Card spot in the playoffs. They would eventually go on to sweep the Phillies and the Diamondbacks to become 2007 National League Champions. One of the key players who was a part of this huge comeback was Matt Holliday. During the 15-game span during the end of the season, he batted .400, with 6 homers and 18 RBIs, while upholding an on-base percentage of .493 and a slugging percentage of .800. With that being said, why hasn't Holliday done anywhere near as well as he did in the 2006 and 2007 seasons? Two words: Todd Helton. The All-Star first baseman gave Holliday a whole lot of protection with the simple concept of Helton batting right behind Holliday. Since 2005, Helton hasn't really been that productive of a hitter in terms of home runs and RBIs, and it is quite ironic that Clint Hurdle was doing the same thing Tony LaRussa is doing now: moving the more fearful hitter around to get the other player to perform better offensively. Granted, Helton still hit well above .300 throughout his career until his injury in 2008, but we're talking about Todd Helton here. We're talking about a guy who averaged a .338 batting average, 33 homers, 113 RBIs, a .435 on-base percentage, a .610 slugging percentage, and 46 doubles from 1998 to 2005. He was going to be productive no matter where he was in the batting lineup. Now that LaRussa is taking Clint Hurdle's approach, I'm calling it a very nifty move. 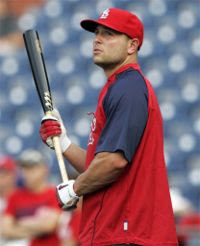 The only difference is that Matt Holliday is being protected by Albert Pujols instead of Helton. Another one of the main reasons that LaRussa pointed out about why Holliday is being moved up to third is because he is not doing so well with runners in scoring position. Entering Monday's game, Holliday was only 8-for-47 in such situations… and you can see it by simply looking at how many runs he brought in before being moved (14). He only has 4 RBIs in the month of May; can you say, "Wow!"? Other than his lack of bringing in runs, he's having a good offensive season otherwise. Hitting behind Pujols is a stimulant for just about any hitter, because no pitcher wants to face Pujols. Holliday is going to get a lot more pitches to hit, and LaRussa hopes that this can create more chances for him to, not only drive in runs, but to get on base so that Pujols can drive him in. LaRussa had this to say regarding his switch: "We'll see. We've still got to make it work, but Matt's been a third-place hitter. He likes hitting third. We need to be more productive. So you identify, there's things we can work on, there's things we can improve, which we will improve. And there's other things like this that maybe there's a spark there for us. and getting Matt going would be a spark." "I prefer Albert hitting third, but I more prefer to get Matt going along with Albert and all the other offense we’ve got.“We've got to be more productive. To find the best term life insurance agents you have to check with your state’s insurance regulator for any complaints filed against the agent and the insurance agency that he or she is affiliated with. It is also important to do a background check on the credentials that each single term life insurance agent has. Make sure that these steps are completed before doing business with an insurance agent and giving out any of your personal information.A major number of provinces in the country require drivers to have car insurance. The rising number of road accidents prompts the government to implement necessary measures in order to protect motorists.Car insurance Ontario is something every person should have when driving for the sake of their safety and security. MADRID: Four-time French Open champion Justine Henin's preparation for the Roland Garros grand slam event suffered a shuddering jolt with a defeat by France's Aravane Rezai in the Madrid Open first round on Sunday. Henin won the Stuttgart title on clay last week and is considered a dangerous outsider in Paris later this month but her first serve was inconsistent and Rezai, the world number 22, took full advantage with a 4-6 7-5 6-0 win as the Belgian's game collapsed. Henin beat Australia's Samantha Stosur in the final in Stuttgart last Sunday for her first title since she ended her 19-month self-imposed exile at the start of the year. Maria Sharapova was another former world number one to fall at the first hurdle, the Russian 11th seed going down 6-4 6-3 to Lucie Safarova of the Czech Republic. "It's a struggle trying to find the rhythm," a philosophical Sharapova, who was playing her first tournament since pulling out of the Sony Ericsson Open in March with an elbow injury, told a news conference. "I thought (Safarova) played really solid, good tennis and did everything she needed to win the match. More solid than me anyway," the 23-year-old added. "I certainly had my chances in the match and a few balls here and there that I maybe would have made if I had the matches under my belt." Safarova broke Sharapova's serve four times and the Czech is on course for a possible last-16 clash with sixth-seeded Russian Elena Dementieva. "If you win against these top players, as I have the last couple of months, then you get your confidence and you realise you can be up there," the world number 35, who beat world number two Caroline Wozniacki in Stuttgart, told a news conference. "My dream is to be top 10 and it's a lot about believing in yourself." Fourth seed Venus Williams, also a former number one, plays qualifier Stefanie Voegele in the first round later on Sunday. 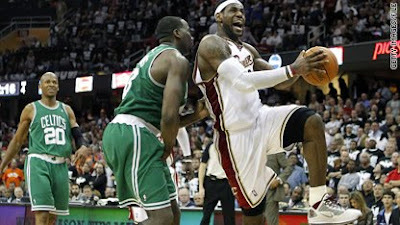 Sports Update: How will Lebron's elbow hold up? -Cavaliers at Celtics (ESPN. 7:00 PM) How will the three days of rest affect LeBron’s health? He’s been diagnosed with a bone bruise and strain in his right elbow and the series outcome will likely come down to how hard he can go with the pain. Game 3 is tonight. The series is tied at 1-1. Why do the Suns lead the series 2-0? Simple teamwork,” says SI.com’s Ian Thomsen. “The Suns are delivering more production and energy across the board.” Phoenix is 34-9 over the last three months and can take a commanding lead tonight in Game 3 in San Antonio. It’s simple for Chelsea: The Blues will lift the Barclays Premier League title if they pick up three points at Stamford Bridge. A draw or loss opens the door for Manchester United, who play Stoke City. Chelsea leads Manchester United by a point with only Sunday’s games remaining in the schedule. batting average for Tigers rookie outfielder Austin Jackson, who leads the American League in hitting. Career wins for Robin Roberts, the Hall of Fame pitcher who led the Phillies to the 1950 pennant. Roberts died on Thursday. He was 83. Goals for Red Wings forward Johan Franzen (along with two assists) in Detroit’s 7-1 win Thursday night over San Jose in Game 4 of the Western Conference semifinals. San Jose will host Game 5 on Saturday night with an opportunity to advance to the conference finals.